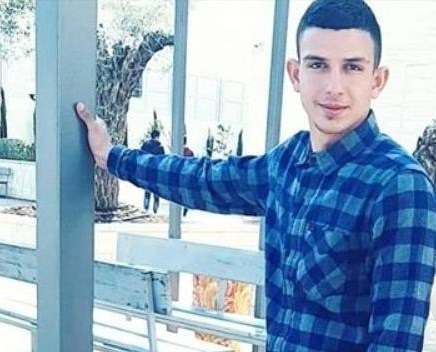 Israeli forces shot and killed Omar Abu Leila, 19, a Palestinian suspected of killing two Israelis, in Abwein village, north of the central occupied West Bank district of Ramallah, on late Tuesday. Abu Leila carried out an alleged stabbing and shooting attack near the illegal Israeli settlement of Ariel, in the northern West Bank district of Salfit, killing an Israeli soldier and a rabbi, and critically injuring a third Israeli. The Palestinian Health Ministry confirmed that Israeli forces killed Abu Leila following two days of a wide-scale manhunt. Local sources said that dozens of heavily armed Israeli forces stormed the Abwein village and surrounded a house after cutting the power lines, and used loudspeakers to call on Abu Leila, who barricade himself, to surrender. Sources pointed out that after two hours of surrounding the house, Israeli forces opened heavy fire towards Abu Leila and killed him. Violent clashes erupted following the raid, during which Israeli forces opened fire towards Palestinian youths, injuring nine, including two with live ammunition and one with a rubber-coated steel bullet. Several others suffered from tear-gas inhalation.